Commodore ruled my world when I was snot nosed little dork with no life. 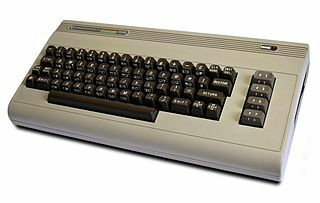 At age 12, I got a Commodore VIC-20 for Christmas, my first home computer. With the awesome storage capacity of the datasette tape drive, I was in geek heaven. With 5k of RAM and 22 columns of text on a noisy RF connection to a crappy NTSC TV I headed down the road of geek curiosity. I remembered a couple amazing things about the VIC. One was writing and running a BBS using the 1200 VICModem. There was no auto-answer with this thing, I had to manually move the cord from the handset to the modem when the phone rang. The BBS was called Hacker’s Hideout and I programmed it using the VIC’s awesome built-in BASIC. I can’t remember what features I had or whether I had warez to trade. This was early XMODEM days, if I did, it probably took a year to download anything. My buddy Justin recalls transferring files over without CRC checks, though I’m thinking this was during our later C64 days. The other thing I remember programming on the VIC-20 was an animated intro sequence of Monty Python’s Flying Circus all in Commodore PETSCII. If I can ever pull that off tape, I will. 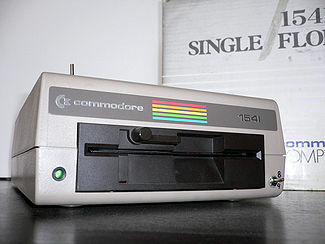 This brings me to next Christmas when I got the Commodore 1541 floppy disk drive. This thing was bigger, heavier, ran hotter and was just as expensive as the C64 at the time, if I recall correctly. But it ruled! I was now in the world of random access storage and what massive storage it was at 170k! I soon learned the trick of cutting a notch in the floppy and flipping it over giving me twice the capacity! Only thing is there wasn’t a lot of storage needs with the VIC, so as it turned out, my pal Justin got a Commodore 64 that same Christmas. We immediately combined forces and embarked on the path of MWA (massive warez acquisition). The 64 was an order of magnitude better than the VIC-20. It had a whopping 64k of RAM, 40 columns of text, 16 colors, hardware sprites and the seriously awesome MOS 6581 SID sound chip. SID stood for Sound Interface Device which was quite an understatement. It used the MOS 6510 processor, a close relative to the popular MOS 6502 used in the VIC-20. The Apple I and II as well as Atari 400 and 800 computers also used the 6502 chip. Though it was Commodore that really made the 6510 shine in with the 64. Back to MWA. With the firepower of the C64, the 1541 drive and a newly acquired 1200 baud auto-dial/auto-answer modem, we were set on our path to never leaving the house. Bulletin boards were popping up everywhere and they usually catered to the type of computer you had. So we called the Commodore ones and soon found we could download all kinds games and utilities. Transfer protocols were primitive at the time and I remember often having to try multiple times to get a file to download successfully. When we did, it was like winning the lottery. The excitement of getting a new game to run after spending hours or days downloading it was like shooting a load. Yes, it would be many years before girls would even look at us.